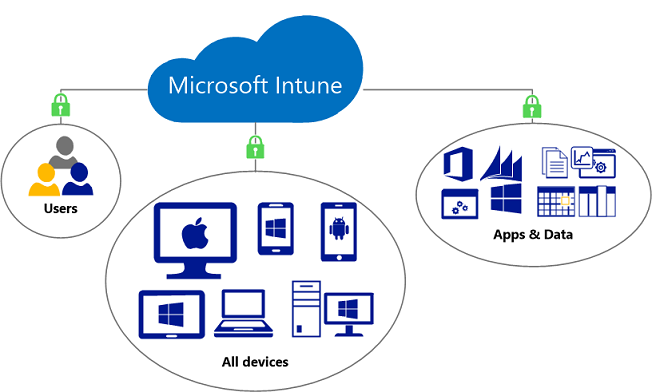 Microsoft Intune (formerly Windows Intune) is a cloud-based desktop and mobile device management tool that helps organizations provide their employees with access to corporate applications, data, and resources from the device of their choice. – Device choice: Provide employees with the ability to register, enroll, and manage their devices as well as install corporate applications from the self-service Company Portal – all from the devices of their choice. – Unparalleled management of Office mobile apps: Maximize productivity by enabling your employees to access corporate resources with the Office mobile apps they know and love while applying policies that can help prevent leakage of company data. – Data protection: Secure corporate data, including Exchange email, Outlook email, and OneDrive for Business documents, based on device enrollment and compliance policies set by the administrator. – No infrastructure required: Eliminate the need to plan, purchase, and maintain hardware and infrastructure by managing mobile devices from the cloud with Intune.  – Enterprise integration: Extend your existing System Center Configuration Manager infrastructure through integration with Intune to provide a consistent management experience across devices onpremises and in the cloud. – Flexible licensing: Spend less time counting devices with per-user licensing for Intune. Intune is also included as part of the Enterprise Mobility Suite, the most cost-effective way to acquire Intune, Azure Active Directory Premium, and Azure Rights Management. – Global presence with 24/7 support: Get answers to your questions with Microsoft support available online and by phone worldwide – included with every Intune subscription. Microsoft Intune software and services is a unified device management solution that combines both cloud and on-premises capabilities to fit your PC and mobile device management needs. 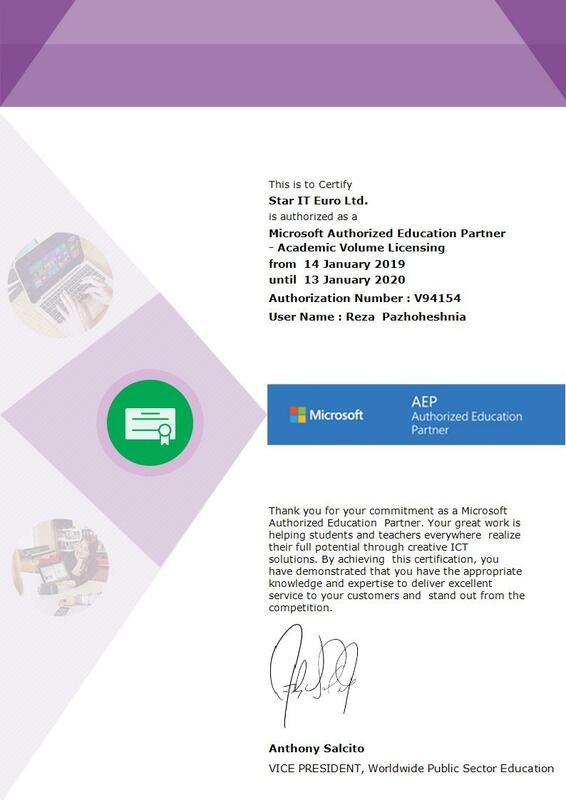 With Microsoft Intune student use benefit, schools can enable students to getto their work done from virtually anywhere on almost any device. We can provide a quote, assist you with ordering, or offer additional services about deploying Microsoft Intune.